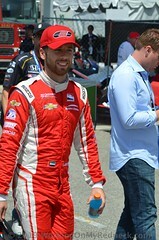 FAST FACTS: Will be his 13th Champ or Indy car race here and 14th overall … His top finish is second place in 2013 with RLL after starting 11th and top start is fifth in 2007 with Newman/Haas/Lanigan Racing and he finished eighth after slow fuel flow pit strategy… A recap of results is available upon request… He also competed in the 2006 Champ Car Atlantic Series race here… Has SIX IndyCar Series wins (2008 – St. Pete street course; 2015 – Fontana Super Speedway, Mid-Ohio road course; 2016 – Texas Super Speedway; 2017 Detroit Race 1, Detroit Race 2) and THREE poles (2009 – St. Pete street course, Kansas oval; 2017 – Detroit Race 1 street) and his highest series season-ending standing is fourth place in 2015. 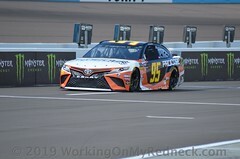 He is currently ranked 13th in series point standings with 58 points. 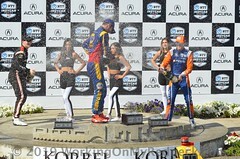 FAST FACTS: Most recent winner in the IndyCar Series after winning from pole in Barber. Will be his 10th race here… His highest start and finish here came in 2013 with A.J. Foyt Enterprises when he led 50 laps and won from a fourth place start. The race prior to that was with RLL in 2012 and he led 16 laps and was third when he was hit by Hunter-Reay on the final lap and finished eighth after starting eighth. 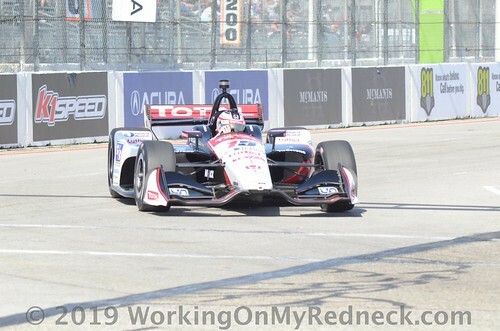 His other top-10 start came in 2016 with Foyt (8th) and other top-10 finish was fifth in 2016, also with Foyt… When he arrived to Long Beach last year, he had two series wins but has doubled that entering race weekend this year. 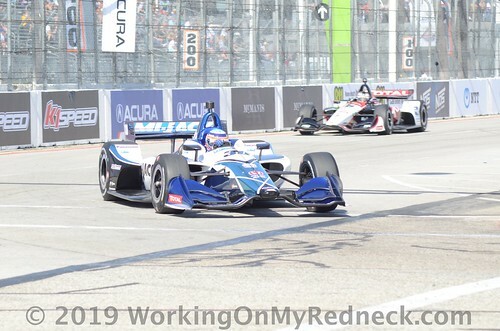 His FOUR IndyCar Series wins include: 2013 – Long Beach street course, 2017 – Indy 500 oval, 2018 – Portland road, 2019 – Barber road. 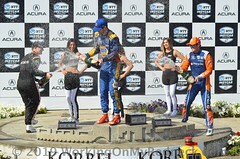 He has EIGHT poles (2011 Iowa oval, Edmonton street; 2013 Houston Race 1 street; 2014 St. Pete street, Detroit Race 2 street; 2017 Detroit Race 2, Pocono oval; 2019 Barber road). 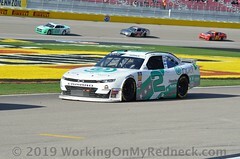 He is currently 3rd in series point standings with 91 points. 3 POLES, 6 PODIUMS FOR RLL IN 19 INDY CAR RACES AT LONG BEACH: This marks the 20th time for Rahal Letterman Lanigan Racing (RLL) to compete in the main event. In total, the team has won three poles (Herta 1998, Vasser 2002, Jourdain, Jr. 2003); made five front row starts including an all-Team Rahal front row in 1998 (2nd – Rahal 1998, Brack 2001); earned their best finish of second place four times (Rahal 1992-1993, Vasser 2002, G. Rahal 2013) and earned six podiums here (2nd – Rahal 1992-1993, Vasser 2002 & G. Rahal 2013; 3rd – Herta 1998-1999). Although the team didn’t compete in Indy car races here from 2004-2011 while they fielded a fulltime entry in the Indy Racing League (2004-2008), they did compete in the 2003 and 2004 Atlantic races with Danica Patrick and in the 2007 American Le Mans Series (ALMS) race. In 2009, the team returned to the streets of Long Beach in the GTLM class of the ALMS with BMW Team RLL and has finished on the podium each year but 2016-2018 although they started from pole in 2016 and led in 2017 and 2018 before issues. Despite not finishing on the podium the past three years, Long Beach is the most successful venue for the team on the current IMSA WeatherTech SportsCar Championship schedule. The team has won the race three times (2011, 2013 and 2015), has eight podium finishes and started from pole five out of 10 years. NEXT UP: Practice will take place Saturday morning from 9:00-9:45 a.m. PDT and qualifying will take place from 12:10-1:25 PM PDT. NBCSN will begin live coverage of qualifying at 2:45 p.m. EDT Saturday.